This is your chance! Daytime classes start Wednesday in the South End and Friday in Jamaica Plain. Both accessible by bus, parking is pretty darn good, and the teacher is really fun. Ostensibly for folks 55+, we do not card at the door. note: no class Sept 24. 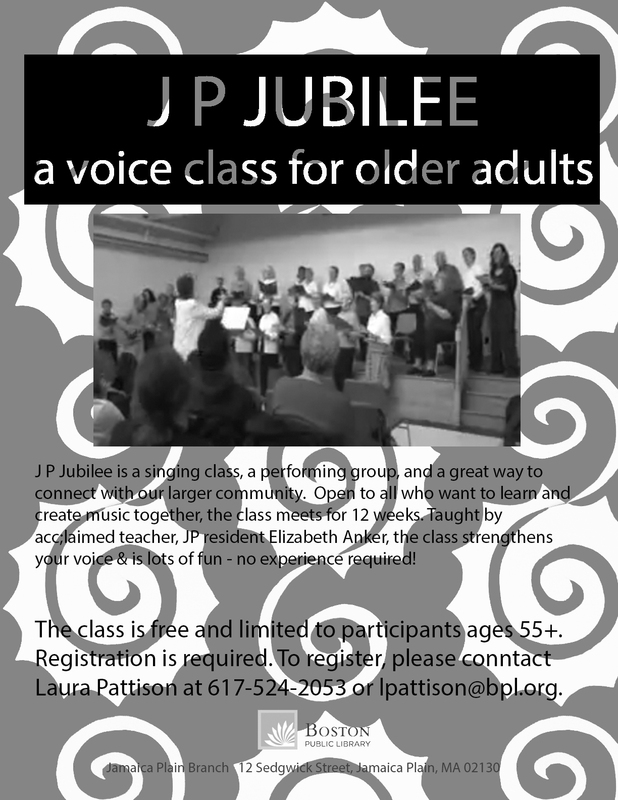 Posted in JP Jubilee, Platinum SIngers, Singing Classes, Teaching and tagged as Boston, JP Jubilee, Platinum Singers, singing, singing lessons, study singing.